1. 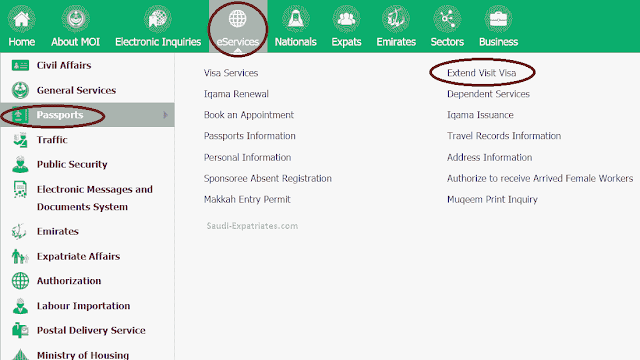 Login to your Absher account, Verify your mobile, Then Go to 'eServices' from top and then 'Passports' from left menu, then click on 'Extend Visit Visa'. 2. 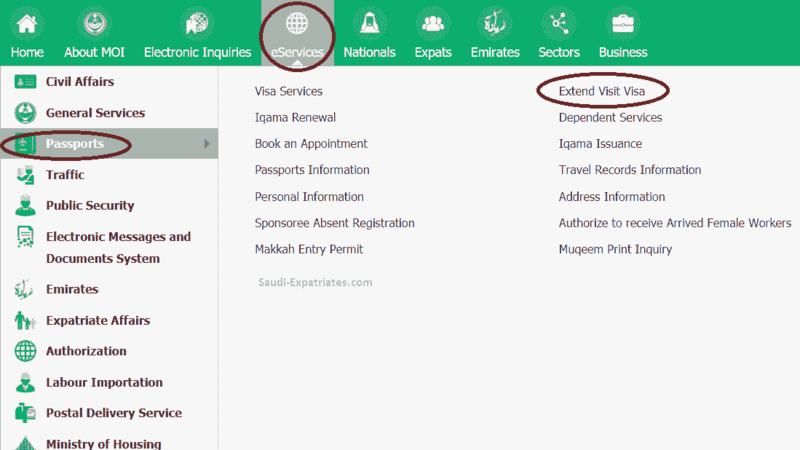 Click on 'Proceed' in next page, Then click on "Extend Visa" of the visitor you want to extend. 3. 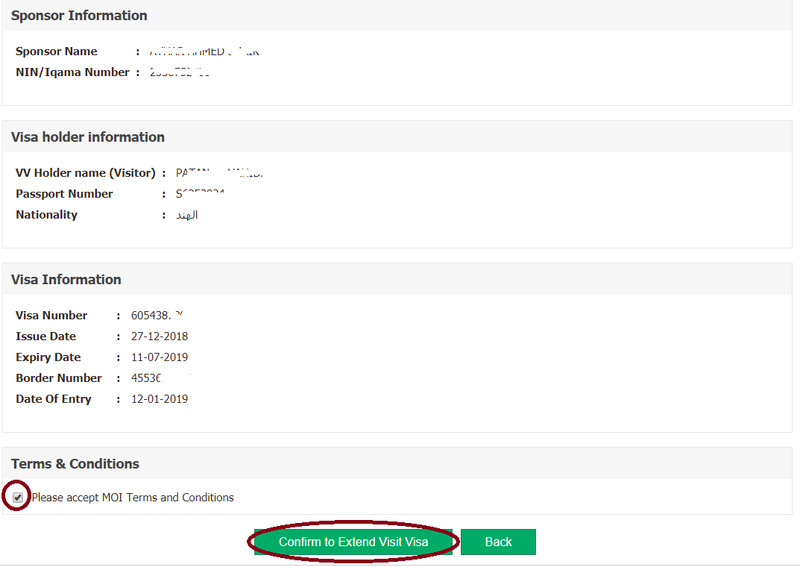 In the next page, Check all the details, then Agree with terms and click on "Confirm to Extend Visit Visa". 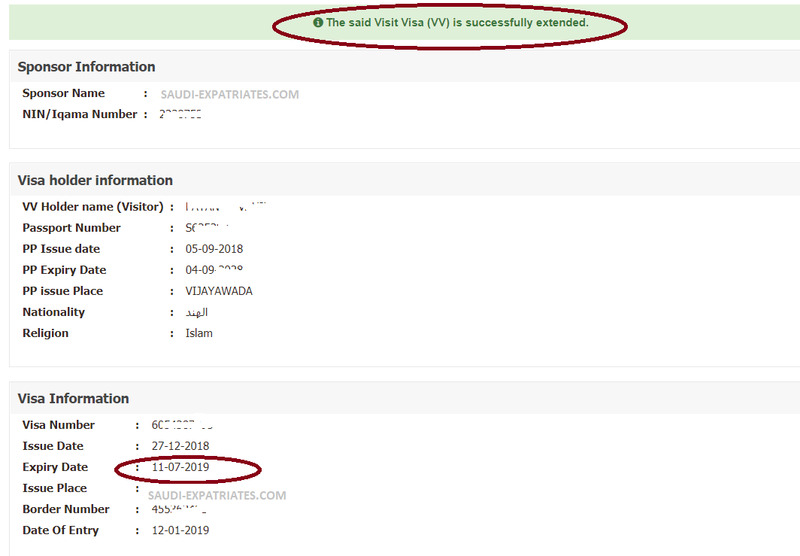 - If the visa is extended you can see message "The Said Visit Visa (VV) is successfully extended". 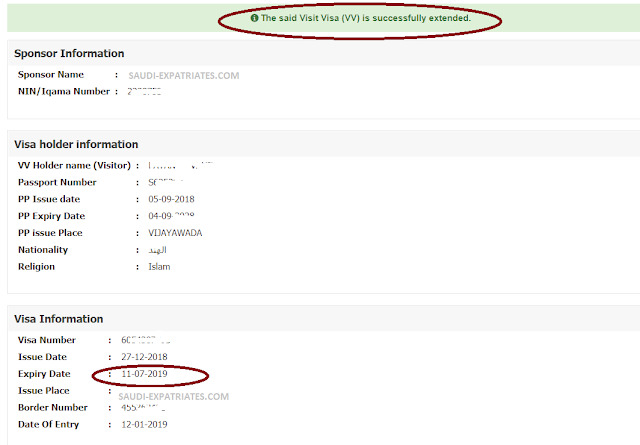 - Visitor of the visa should be in Saudi Arabia. - Passport of the visit visa holder should not be expired till the date of extension. - Visitor should be alive and does not have any unpaid traffic violation.